As humans, our thoughts, behaviors and experiences all work together to form who we are, what we do and how we live. So when we’re having a difficult time with something in our life, we can draw upon our life wisdom to help us – especially the wisdom of recovery. 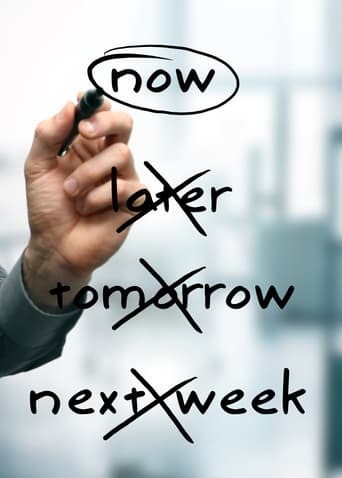 One of the toughest things people struggle with at work or school is procrastination. In the age of technology, social media and binge-watching television, distractions are everywhere. And when you have personal or professional goals, you know that procrastination is the killer of progress. So instead of letting it consume you, what if you looked to your recovery for help? Recovery is built on many important principles: hard work, grit and tenacity to name a few. All of these principles tie into a common theme – doing hard things. Like many people say, recovery is a program of action. In any journey, you have to do hard things to get the results you want, whether that’s achieving a goal, staying sober, or finishing a small task. For example, think of your first day in treatment. It was hard, wasn’t it? You probably felt uncomfortable, scared or nervous. You may have even tried to go before, but put it off for another day, and then another. Procrastination, whether it surrounds us in a decision to get help and go to treatment, or to finish a work project, is often the result of fear. And in recovery, you learned to overcome that fear. Instead of being overcome by fear or the habit of procrastination, use recovery tools to stay focused, stay on track and continue moving forward. Learn to stop yourself in the moment and use mindfulness to simply accept that procrastination is happening. Then, when you notice you’re procrastinating, take 5 minutes to close your eyes and become aware in the moment. A cornerstone principle of mindfulness is that it’s non-judgmental. In your moment of mindfulness, you’ll re-center, acknowledge procrastination is happening, and then can work to simply move forward and refocus on the task at hand. Think about the benefits of sponsorship or recovery coaching in sobriety. Whether you have a professional mentor or not, find someone to keep you accountable. You might be in the process of going back to school, working on a project at work, or even a task in recovery. Use the help of mentors and sponsors to keep you accountable, check up on you and then motivate you to get back on track. It might not always be comfortable, but it will keep you moving forward. There’s a principle in treatment called ‘contingency management,’ or put simply, the use of rewards as a motivator for sustained sobriety. It works for some people because it gives an extra incentive and sense of motivation to stay sober and keep up with the recovery-strengthening tasks on your list. It doesn’t have to be sophisticated. You might consider establishing a reward system for yourself. Put $5 towards something on your wish-list for every task you complete without distractions, or motivate yourself with gift cards or outings with friends for each set of tasks you complete at school or work. You can make it fun! If procrastination is a form of fear, then sometimes the best way to beat it is just to do the thing that’s worrying you. Whether it’s the fear of failure, the need to be perfect, or being afraid of the unknowns, just for right now: do the hard thing. Finish the task, write the letter, or give the presentation. Once it’s finished, you can take a breath of fresh air and remind yourself how great it feels to overcome. Again, remember that first day in treatment? Procrastination steals us of opportunities and experiences, and it’s easy to let it slide. But in your new life in recovery, let action be your guide. Whether you use these tips to overcome procrastination on the job or as you build a healthy recovery lifestyle, pay attention to what works for you – and then do more of it. And if it’s still difficult a month from now, remember, progress not perfection. Stay committed to the process of change, procrastination included. Stacey M. Rosenfeld is the author of Does Every Woman Have an Eating Disorder? Challenging Our Nation's Fixation with Food and Weight. She is a licensed clinical psychologist in New York and California. Prior to her full-time private practice, Stacey was a staff psychologist at Columbia University Medical Center in New York and at UCLA Counseling Center in Los Angeles. She is an eating disorder and substance use disorder specialist and also focuses on anxiety and mood disorders, infertility, relationship concerns, and sport and exercise psychology. Stacey works with individuals and groups, using an approach that blends cognitive-behavioral, dialectical-behavioral, pyschodynamic, and interpersonal techniques. Her goal is to help clients address their concerns and arrive at a more comfortable and effective place in their lives. Lesley Wirth, MA in Spiritual Psychology, and certified Recovery Coach, is an independent contractor at Practical Recovery and Restoration Inn, a beautiful trauma informed recovery center for women, located in La Jolla, CA. With a passion for helping women who have been using as a means to cope with their emotions, trauma, and circumstances, Lesley has been in the recovery field for ten years. Working with a wide array of addictive tendencies, she believes that women undergo specific challenges when it comes to recovery, which has motivated her to work solely with the female population. Lesley has a nationwide after-care recovery program where she helps women integrate into their home environment after treatment. Many of her clients stay with her long-term as they move from a recovery-only focused lifestyle, to one where self-actualization becomes a larger focus. Clients work through healing mind, body, and spirit, to create a life that is becomes exciting to them again and often expand into fulfilling their dreams. In her book, Own Your Worth, A Spiritual Journey through Food Compulsion to Self-Love, Lesley outlines the process of healing the deeper aspects of shame, unworthiness, and working to overcome fear. These processes have developed into a 6 week program that has helped women to connect to their True Self and find an embodied sense of empowerment. The program has seen great success both in and out of treatment centers in California. Helen M. Farrell, M.D., is a physician, expert witness, keynote speaker and writer. She is an award-winning Harvard Medical School Instructor in psychiatry. Dr. Farrell is a medical graduate of Trinity College Dublin, Ireland, where she was moved by the sensitive prose of literary geniuses who gave mental illness an acceptable voice. Dr. Farrell gained notoriety for her original article in the Journal of the American Medical Association, A House Built Out of Madness, which breaks down stereotypes of mental illness. Her article Addicted to Hope, published in The Fix, shares a unique perspective on alcoholism and has inspired positive change in readers. Raychelle Lohmann has been a counselor since 1998. She has done extensive research in the domain of anger management and careers. She is a published author, blogs for US News & World Report, and enjoys speaking and presenting at conferences and facilitating workshops. As a school counselor, Raychelle works with students regarding personal/social, academic, college and career issues. Additionally, she assists parents and teachers with adolescent and parenting concerns, as well as works collaboratively with parents and teachers to assist students with academic progress. Raychelle is an active member of the American Counseling Association, American School Counseling Association, and National Career Development Association. She is a National Board Certified Counselor and a Licensed Professional Counselor in the states of NC and SC. Additionally, Raychelle is a certified Global Career Development Facilitator. Mike Pond is a Vancouver, Canada-based psychotherapist, in-demand speaker, author and advocate for compassionate, evidence-based treatment for all who suffer from substance use disorders. Pond’s riveting account of his own trip to rock bottom and back gives him unique empathy as a therapist. He has experienced our flawed treatment system from the inside out. After two decades of private practice, Pond thought he knew all there was to know about treating addiction. But through his own life-threatening battle with alcoholism, he learned he knew next to nothing. Worse, what he knew was just plain wrong. He lost his practice, home and family and ended up penniless in two unlicensed, rundown recovery homes rife with systemic abuse. For two years, Mike floated through rehabs, recovery homes and homelessness, dumpster diving, emergency wards and finally intensive care and prison. Along the way Mike Pond "the drunk" found himself shamed and stigmatized by the very system in which Mike Pond the therapist thrived. Mike Pond’s memoir Wasted: An Alcoholic Therapist's Fight for Recovery in a Flawed Treatment System was released this spring in the U.S. and is available in Canada. The book was excerpted or featured in leading Canadian publications like The National Post, the Huffington Post, the Globe and Mail , Maclean's (Canada’s version of Time Magazine) and The Toronto Star. Pond sits on two national advisory committees working to ensure all Canadians receive swift access to a broad toolkit of treatment options. His advocacy has helped create Addictionthenextstep.com, which offers a free-online therapy tool called the Interactive Guide, built in collaboration with New York City’s Center for Motivation and Change. This site is exclusively for the families and loved ones of those battling a substance use and teaches an evidence-based, whole new way of communicating with the substance user, that shifts the conversation from shaming and blaming, to compassion and kindness. It’s free and can be accessed anywhere, anytime! Pond has rebuilt a thriving practice in Vancouver, (MichaelPond.ca) where he specializes in addiction, Indian Residential School trauma, healing and recovery.